To alleviate material and spiritual poverty by empowering the poor and sharing the Gospel of Christ. Catholic World Mission works to spread the message of the Church and rebuild communities worldwide. We are the hands, feet, and eyes of Christ to impoverished children and families. We are passionate about our work for the physically, spiritually, and intellectually poor. We support the work of priests, religious, missionaries, and lay people working to make a difference in the lives of others, materially and spiritually. We take seriously Jesus’ admonition that “whatever you did for one of these least brothers of mine, you did for me” (Mt 25:40), and we stand in the gap between the poor of the world and our generous donors, making a way for Jesus to be better known to the poorest of the poor and to the benefactors who give so selflessly where the need is greatest. Catholic World Mission was founded in 1998 by a Legionary priest, a member of the Regnum Christi movement. Regnum Christi is an apostolic movement within the Catholic Church comprised of Legionary and diocesan priests, seminarians, consecrated men and women, and lay people throughout the world who serve the evangelizing mission of the Church. We alleviate suffering by providing material support through our Dignified Living and Disaster Relief pillars, illuminate the mind by providing opportunities for affordable Catholic education for the poorest children through our Education pillar, and ignite the Spirit to new heights by providing the sacramental, healing, and life-giving power of Jesus Christ and His Church through our Evangelization pillar. The generous Catholic World Mission family of supporters. hold the community, our partners, and ourselves accountable to our supporters with a strict policy of full documentation of ‘use-of-funds’ and proof of accomplishment within agreed upon deadlines for completion. Catholic World Mission scrutinizes the operational aspects of every project we undertake to ensure that our benefactors’ hard-earned donations are put to best use, and spent as they were intended. We also take a long-term view of projects by forming relationships with all the people we work with. We aim to go beyond charity and into justice. While we could use and value all funds from anyone who wants to help, we will never compromise our principles. CWM is accountable to God, and to caring friends like you, who make our work possible. We cannot accept funds that would restrict or prevent us from not only empowering the poor but also spreading the Gospel..
We will never be ashamed of our faith or unwilling to proclaim the light and hope of our Lord. Together, we are standing strong for the full Gospel – in both word and deed. With it comes the long-term love and support of a local church community who cares for the whole person. When someone receives a gift from Catholic World Mission, they also hear the Good News of Jesus Christ and experience His love daily! Catholic World Mission Inc. (“CWM”) is a 501(c)(3) nonprofit corporation which is exempt from federal income tax by virtue of being listed in the Official Catholic Directory (OCD). Annexed please find documentation establishing the OCD listing and the exemption. CWM does not provide legal or accounting advice. Catholic World Mission Employer Identification Number (EIN):13-4010454.
Who is Catholic World Mission? Is Catholic World Mission an evangelistic organization? What is Catholic World Mission’s role in the call to social justice? I am able to make only modest donations. How can I assure my contribution will make a difference? I would like to include Catholic World Mission in my final plans. How do I do that? On what basis do you choose the programs you support? Catholic World Mission strives to be the hands, feet, and eyes of Christ to the world. We work through four main pillars of support: Dignified Living, Evangelization, Education, and Disaster Relief. Partnering with communities in need, we help remove the obstructions of poverty, illness, lack of education, and spiritual despair, so people can realize their God-given potential. By alleviating suffering, illuminating the mind, and igniting the Spirit, we empower people to change their lives and their communities. Evangelization is the process of dignifying the human being by providing the means for individuals to see the light of Christ in themselves and others. We believe it is our duty to help remove obstacles that may impede the human ability to live life in the way God intended, thereby spreading the word of God and building His kingdom. Catholic World Mission is a fundraising organization. We support projects that help level the playing field for all God’s people worldwide. We support systems that are currently in place to help remove the obstructions of poverty, illness, lack of education and spiritual despair, so people can realize their God-given potential. Every donation, large or small, is put to the best use possible, incorporating practical applications for lifting the poor from despair. Through our partnership with charitable organizations worldwide, and the very people we help, we scrupulously target places and projects to provide highly effective tools to lift the poor out of poverty. A $10 donation can provide enough medicine to save a child’s life in Ghana. A $50,000 donation could complete construction of a permanent clinic to provide wellness to the whole village for years to come. We welcome donations of any amount, and treat every dollar as though it were our own. There are a number of ways in which you can include Catholic World Mission in your final plans, by assigning us as a beneficiary in an investment. An endowment can provide a scholarship to a child for several years–until that child graduates from high school. 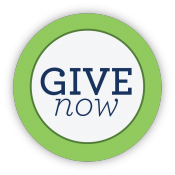 Learn more about endowment and planned giving by giving us a call at 770-828-4966. We choose areas to work in which we can make the biggest impact for the funds we have to distribute. Receptive governments and people, appropriate infrastructure, and a charitable partner to coordinate efforts are keys to maximizing efficiencies. We require our charitable partners to provide detailed reports and photographs of the projects we fund, and periodically travel to see our apostolic works in progress. Donations are tax deductible to the extent allowed by law. You will receive a letter verifying your donation amount for tax purposes. Catholic World Mission Inc. (“CWM”) is a 501(c)(3) nonprofit corporation which is exempt from federal income tax by virtue of being listed in the Official Catholic Directory (OCD). Annexed please find documentation establishing the OCD listing and the exemption. CWM does not provide legal or accounting advice. Catholic World Mission Employer Identification Number (EIN):13-4010454. Donations/gifts to Catholic World Mission Inc. are tax deductible up to limits established by law. Please consult your accountant or tax advisor for information about how to most effectively donate to CWM.